The driver of a cash delivery van who disappeared near Paris with his vehicle and an estimated 3.4 million euros has been arrested, police sources said Tuesday. The 28-year-old driver and a large part of the money were tracked down to a flat in the centre of the city of Amiens, some 160 kilometres (100 miles) north of Paris, the sources said on condition of anonymity. The driver and his truck disappeared after stopping outside a Western Union office at around 6am on Monday in Aubervilliers, a suburb just north of the capital. The driver stayed behind the wheel as two of his colleagues went inside. "When they came back out, the van and the driver were gone," a police source said. The van was found soon afterwards a few blocks away with its doors wide open, but without the bags of cash. Initial reports had put the value of the haul at about one million euros. The two other employees were not injured, sources said. 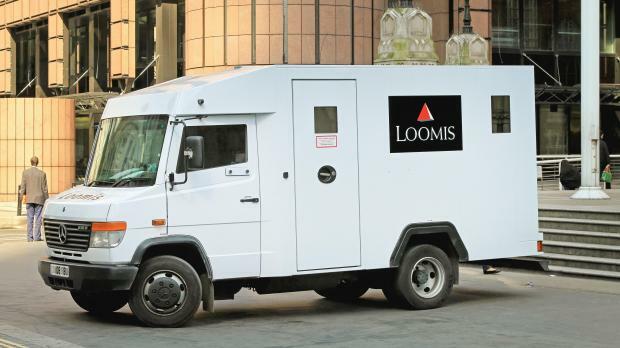 Loomis, the armoured van company which owns the vehicle, did not initially return calls seeking comment. One of the last major such heists took place in February 2018 when the driver of a Swiss money transfer business handed over a huge ransom to thieves. The man agree to hand over the contents of his cash-filled truck -- some 10 to 15 million Swiss francs ($ 9.0 to 14.9 million) -- after his daughter was kidnapped in Lyon. One man was arrested in June in Lyon, when 2.3 million from the heist was recovered. In November 2009, another driver, Toni Musulin, fled in the armoured van he was driving with some 11.6 million euros in cash collected from a Bank of France building in Lyon. He was caught shortly afterwards and much of the money he had hidden in a garage wall was recovered. He served four years in prison.